Teenagers in Moray have written and performed a musical inspired by the pressures facing young people today. A north-east family have embarked on a mission to ensure lifesaving equipment is provided in every secondary school in Moray. Campaigners who fought for a replacement for the dilapidated previous Elgin High School say they have had their hopes fulfilled by the new buildings. Elgin played host to a prestigous fencing competition this weekend, as competitors from around the world flocked to the town. A group of Moray school pupils want to show they mean business by hosting a networking event for local firms. A new all-weather pitch and athletics track will be unveiled in the grounds of Elgin High School this summer. A boy who had to learn how to walk again after suffering a life-threatening brain tumour has taken to the waves on a surf board. 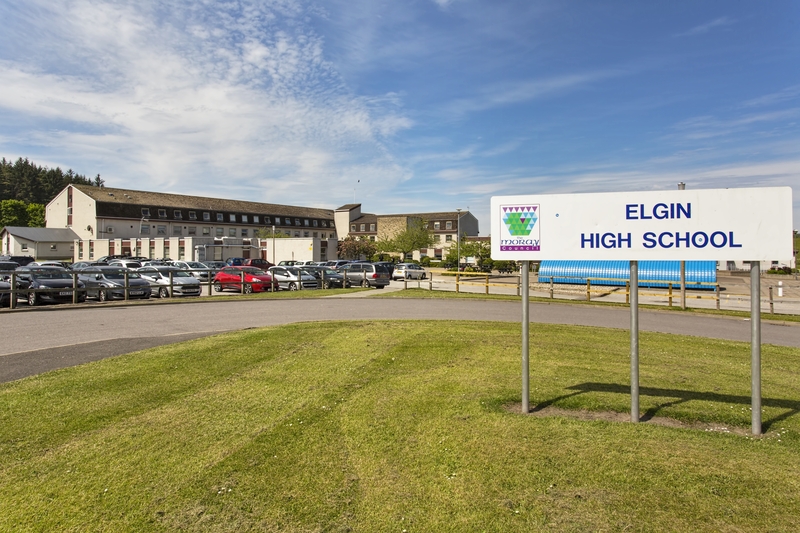 Elgin High School shut its doors for the last time at the weekend after cries of “en garde”. Moray school pupils have gone behind the scenes at some of the region’s biggest firms to film recruitment adverts. A Moray teenager has been inspired by the work of his grandmothers to pursue a career in medicine. Two dogs have become the best of friends for a group of Moray school pupils, who want to ease the stress of exams. A Moray youngster has been left at home after she was barred from a school trip because of her diabetes. Secondary school pupils in Moray have gained exposure to a career in photography with tips from the Press and Journal's local snapper. A book of condolences has been opened at a Moray school following the death of a "warm and encouraging" youth worker. A "lovely" Moray youth worker has been named as the woman killed in a road crash on Friday. A series of photographs, taken by Moray school pupils for an exhibition, have been snapped up by eager collectors. Pupils at a Moray secondary school are involved in a pioneering project where community-minded volunteers keep watch over them during their breaks. Pupils in Moray have been overseeing the construction of their new school while on work experience. Two teenage space enthusiasts from Moray are over the moon after swapping notes with astronaut Tim Peake. The grieving parents of a teenager killed in a cycling accident have been left distraught after treasured mementoes were stolen from his grave. The next phase of work to build the new Elgin High School has begun. Two thirds of council buildings in Moray are no longer "fit for purpose" - and would cost more than £69million to bring up to scratch.